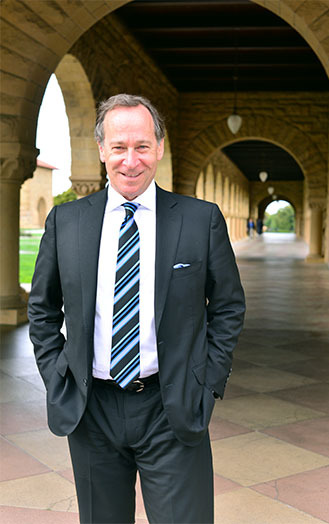 GARY M. POMERANTZ is a New York Times best-selling author and journalist, and has served the past twelve years as a lecturer in the Graduate Program in Journalism at Stanford University. Throughout his career, Pomerantz has devoted his writing, and teaching, to American history, race relations, the media, and sports. His sixth and newest nonfiction book, The Last Pass (Penguin Press) is a narrative about race, regret, and encroaching mortality as an old man comes to terms with his life. It is a poignant tale about Bob Cousy and Bill Russell, iconic Hall of Famers, the Ruth and Gehrig of the storied Boston Celtics dynasty that won an unprecedented 11 NBA championships in the 13 seasons between 1957-69. The story of that dynasty plays on, not on the parquet floor of Boston Garden but in the conscience of Cousy, the team captain, now 90 years old. Pomerantz’s first book, Where Peachtree Meets Sweet Auburn (Scribner, 1996), a biography of Atlanta and its racial conscience told through the intimate multi-generational stories of Atlanta Mayors Ivan Allen Jr. and Maynard Jackson and their families, was named a Notable Book of the Year by The New York Times, and a finalist for Non-Fiction Book of the Year by the Southern Festival of Books in Nashville, Tenn. The New York Times Sunday Book Review hailed Peachtree as “a magnificent piece of writing, a beautiful tapestry of prose in which the stories of two of Atlanta’s most celebrated families have been woven densely into the history of the city itself.” USA TODAY called it “the definitive history of Atlanta’s turmoil and triumph from the Civil War until now.” The Georgia Center for the Book in May 2005, in an attempt to enhance public appreciation of Georgia’s rich literary tradition, selected Peachtree among 25 books that “All Georgians Should Read,” along with works by Pat Conroy, Carson McCullers and Flannery O’Connor. WILT, 1962 (Crown, 2005), Pomerantz’s third book, returned him to his sports writing roots with a vivid narrative that recreated one of basketball’s most remarkable performances, the night Wilt Chamberlain scored 100 points against the New York Knicks in Hershey, Pa. WILT, 1962 is a portrait of a fabled game, a celebrated player known as The Big Dipper, and the nation on the cusp of social and cultural revolution. Named an Editors’ Choice book by The New York Times, WILT, 1962 was called by Entertainment Weekly “a meticulous and engaging narrative – a slam dunk of a read.” For the 50th anniversary of Chamberlain’s 100-point game in March 2012, Pomerantz appeared on ESPN’s “Outside The Lines,” National Public Radio’s “All Things Considered,” and in an hour-long documentary, “Wilt, 100,” produced by NBA Entertainment. A 1982 graduate of the University of California, Berkeley, with a bachelor’s degree in history, Pomerantz served as sports editor of The Daily Californian and covered the Bears’ football and basketball teams. In 1987-88, he was named a Journalism Fellow at the University of Michigan; there he studied theater and the Bible. Later he served from 1999-2001 as Distinguished Visiting Professor of Journalism at Emory University in Atlanta where he taught courses on news reporting and writing, and the history of the American press. For the past twelve years at Stanford University, Pomerantz has taught specialized reporting and writing. A number of his former students from Stanford and Emory work in the media today at Google, The New York Times, The Washington Post, Al Jazeera, Fox Sports and ESPN, among other news outlets. Pomerantz spent 18 years as a daily journalist, first as a sportswriter for The Washington Post where he covered Georgetown University basketball, the Washington Redskins and the National Football League, and later at The Atlanta Journal-Constitution where he wrote about race, sports, culture and politics, and served for a time on the newspaper’s editorial board. His work has also appeared in Sports Illustrated, The Wall Street Journal, The New York Times and other publications. The American Journalism Review has placed Pomerantz among a select group of journalists “whose techniques produce imaginative, technically accurate, and thoroughly documented stories that fall into the broad category of literary journalism.” He has captured numerous journalism honors, including the Ernie Pyle Award, the nation’s top honor for human interest writing awarded by the Scripps Howard Foundation, and the Society of Professional Journalists’ Sigma Delta Chi national award for feature writing. Pomerantz also has been acknowledged by The American Editor magazine and the Columbia University Graduate School of Journalism for his distinguished writing about race relations. Pomerantz lives today in San Francisco with his wife Carrie and their three children. He served for several years on the advisory board of Beyond Borders, a multicultural summer program for children in Marin and San Francisco, and on the Council of the Friends of The Bancroft Library at University of California, Berkeley. He coached 27 seasons in youth sports (baseball, basketball, softball), spent seven years as an oft-injured infielder on the Mooseheads, six-time Over-40 softball champions of Corte Madera, Calif., and still engages annually in an NL-Only Rotisserie baseball league. Each spring he joins older his brothers, Greg and Glenn, on a tour of baseball spring training camps. He frequently hikes the hills of San Francisco with his dog Eddie, a 10-year-old Westie who usually wants to walk in a different direction. He wears a family ring of great sentimental value. It once belonged to his grandfather, Philip Pomerantz, and carries his initials (“P.P.”). After Philip’s death in 1968, Gary’s father, Ed, wore the ring for thirty years. Then he gave it to Gary on their 1998 trip to Kremenchug, Ukraine, where Philip had been born a century before. After having worn the ring for 19 years, Gary lost it in the McCall River in Belize in Central America in December 2017 when his canoe capsized in a surging rapid, and the ring slid from his finger. In a small miracle, the ring was later found, and returned to Gary, who immediately announced his retirement from canoeing. Gary’s Genealogy: Gary’s Old World pilgrimage to Ukraine. Gary’s Reporting Approach: American Journalism Review, exploring compelling narratives. Gary Explores Race Relations: Telling stories from the heart.